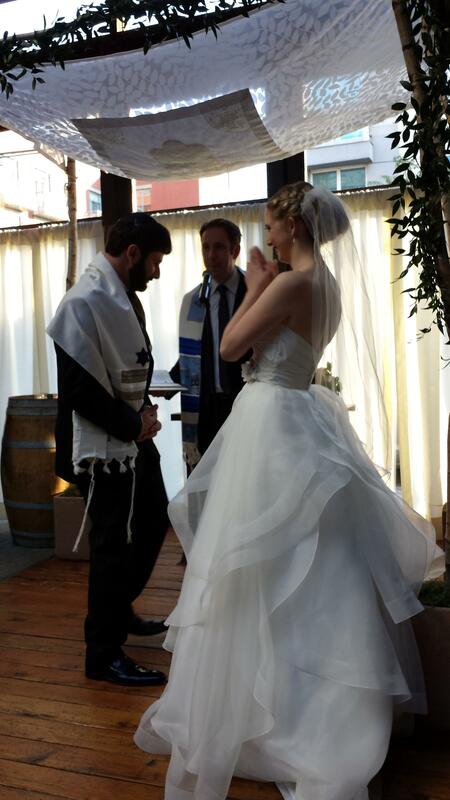 There’s no such things as a Jewish wedding without a huppah. 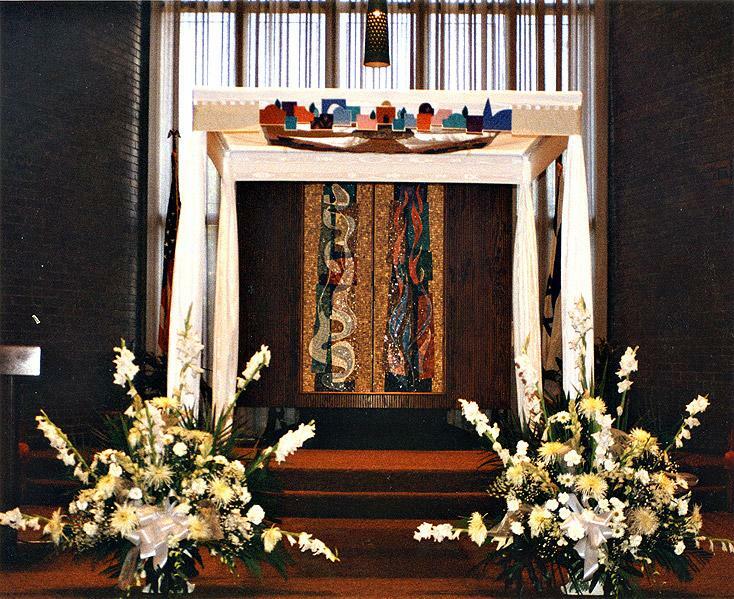 The huppah creates a sacred space for the wedding to take place. 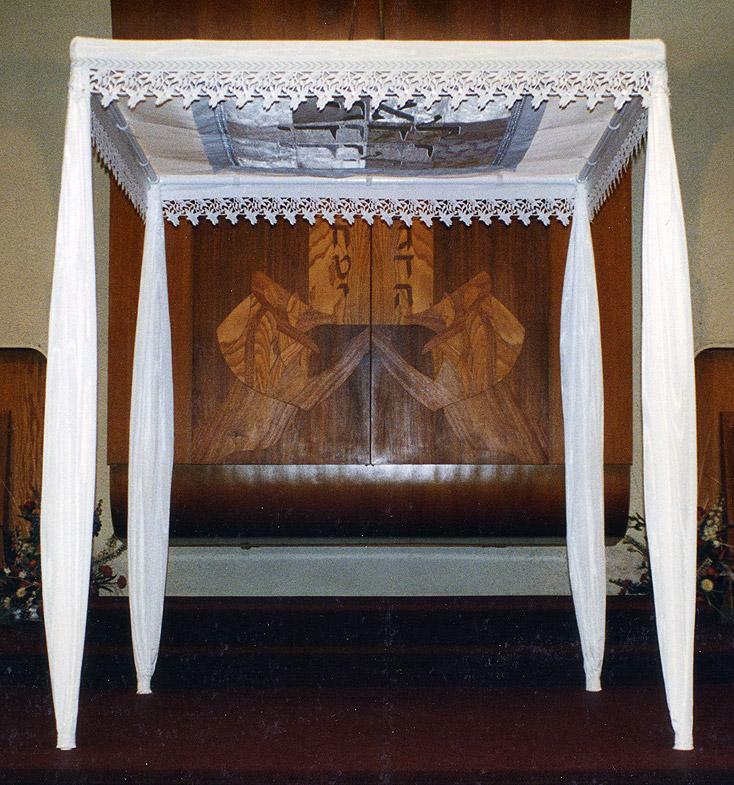 Jewish law says the only requirement of a huppah is that it be a temporary structure, open on all sides. So, from a creative standpoint, anything is possible! It can be hand held or freestanding. 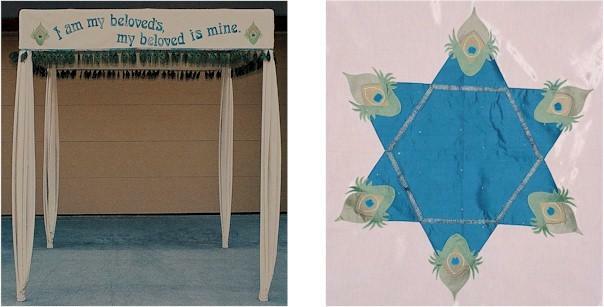 It can be any design, color, and size, with or without Judaic content. Although our specialty is custom designs, we also have some “stock designs” that can be made in your choice of colors at no additional charge. 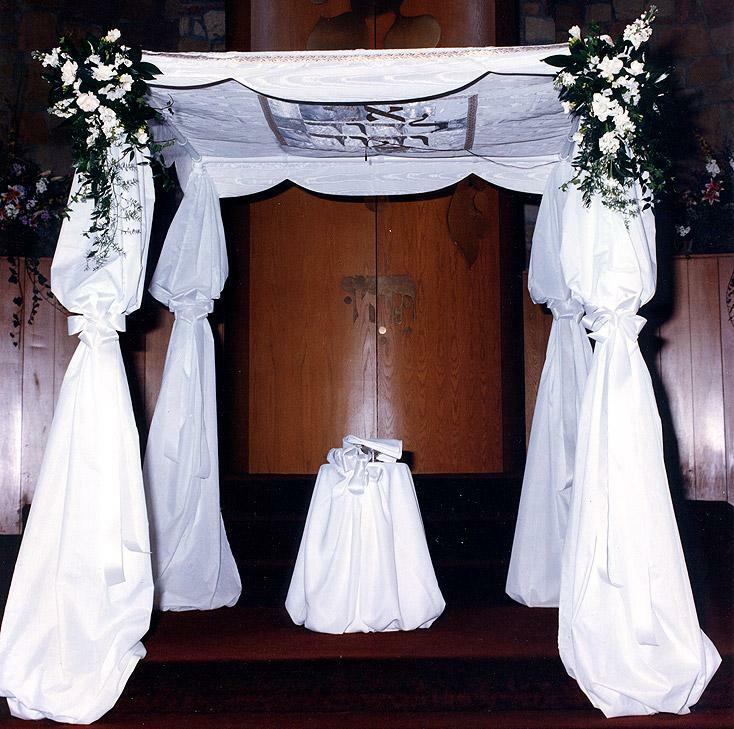 Freestanding huppahs are most often purchased by synagogues, florists, caterers and wedding planners. Families also purchase them with the intention of creating a family heirloom, to be used for generations to come. 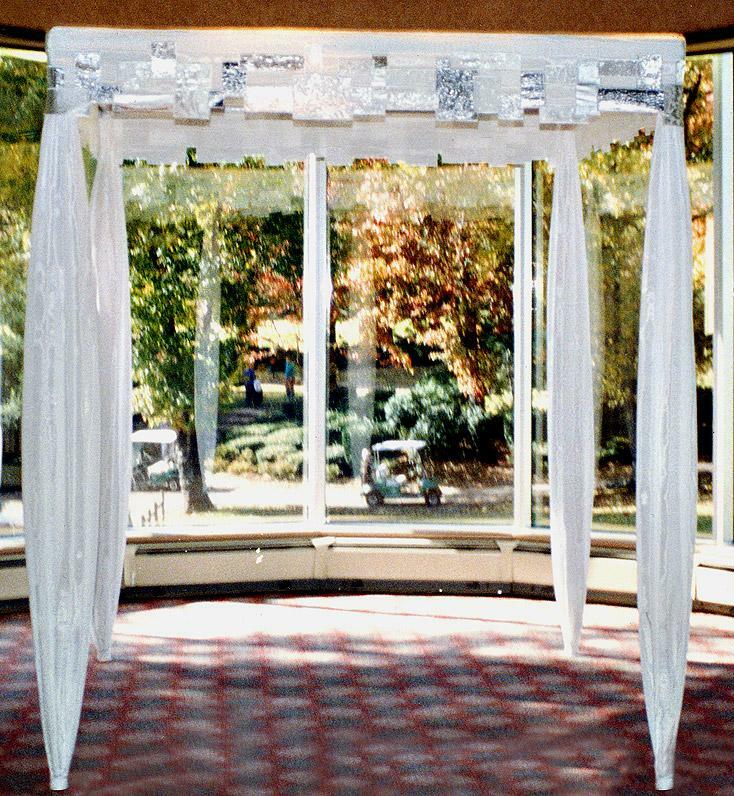 The underside of the huppah can have a smaller inset design that can be removed after the wedding to be used as a wall hanging by a couple, or a hand help huppah by a synagogue. 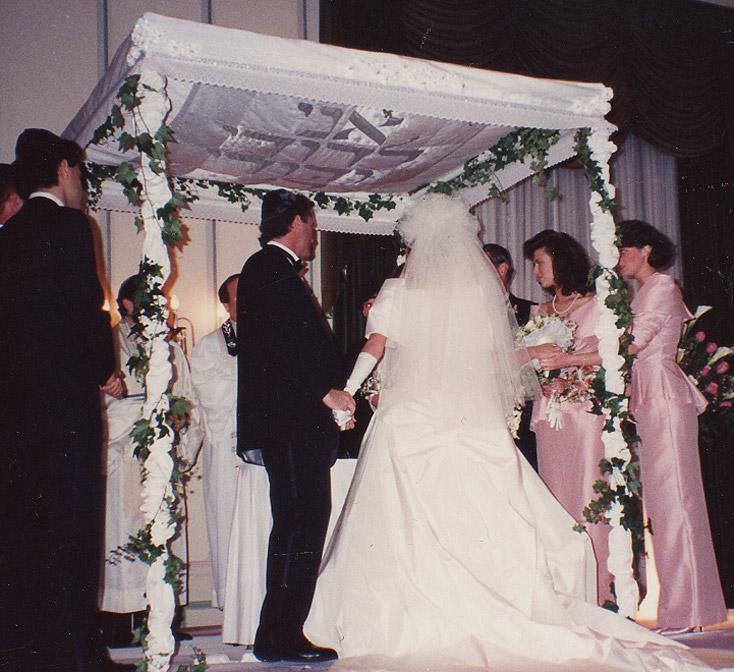 Our freestanding huppah uses our unique steel framing system; it’s durable, reusable, quick and easy to assemble, and stores compactly. 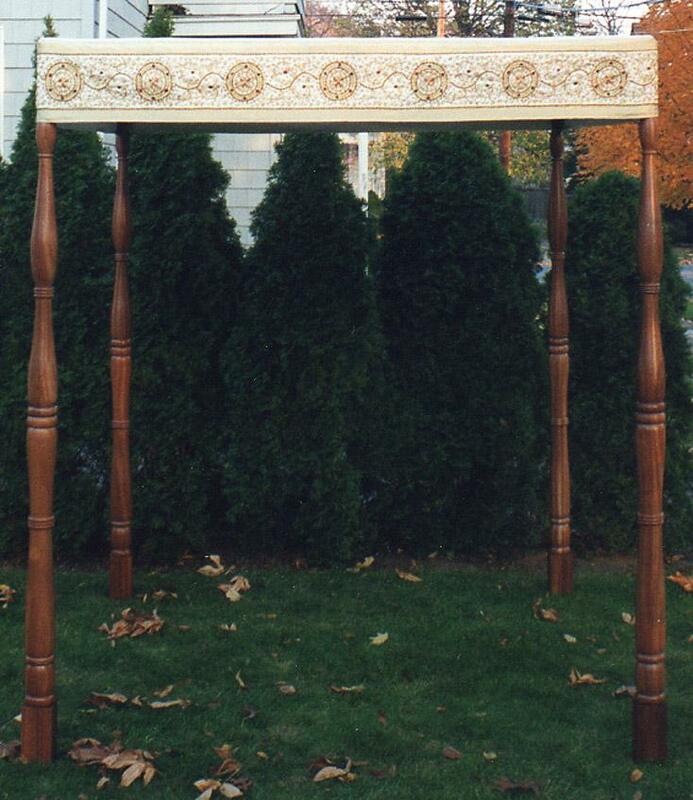 A great variety of flap designs and pole covers are possible. 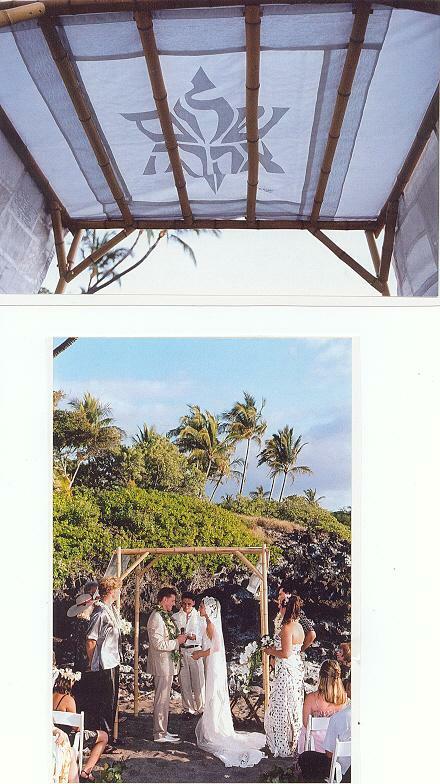 These huppahs are often 6′ x 6′, but can be as large as 8′ x 8′. Remember, everything is made to order, so your heart’s desire is possible.